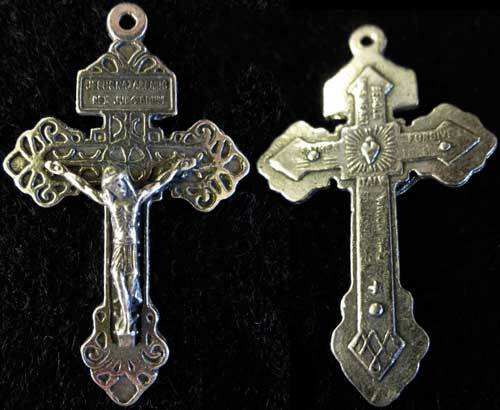 Cast in britannium, high grade pewter. Available in satin or shiny finishes. This crucifix is known as “The original indulgences of the Pardon Crucifix”. Granted by his Holiness, Pope Pius X. to the Pius Union of the Pardon Crucifix, the aim of which is to obtain pardon of God and to pardon one’s neighbor. This can also be used when making a rosary.